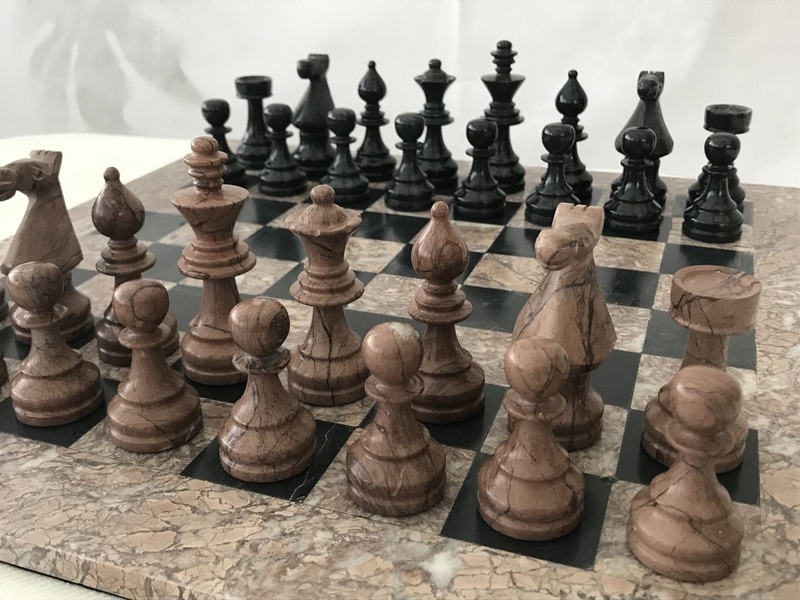 This product from ChessBaron: 16 inch solid and heavy Marble chess set with pieces, board and case all included. 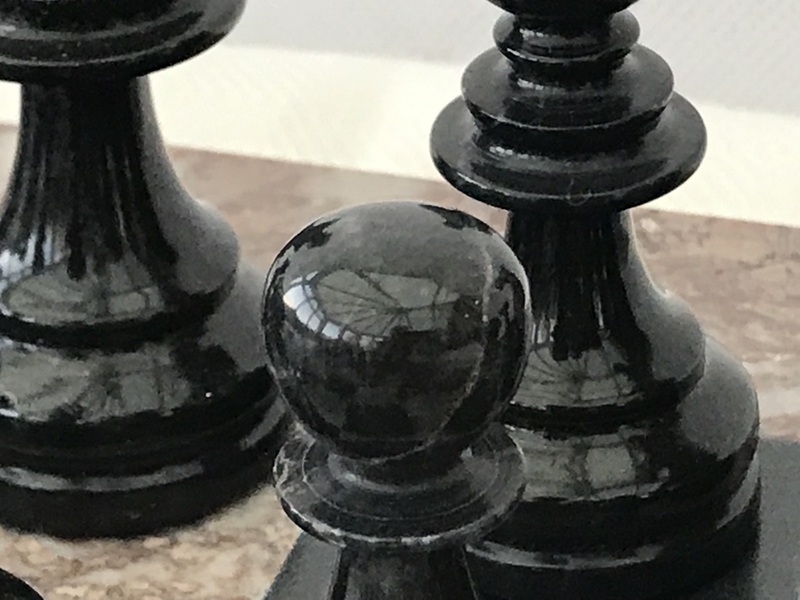 This new design to the ChessBaron inventory is outstanding in beauty and art, with a good size knight. 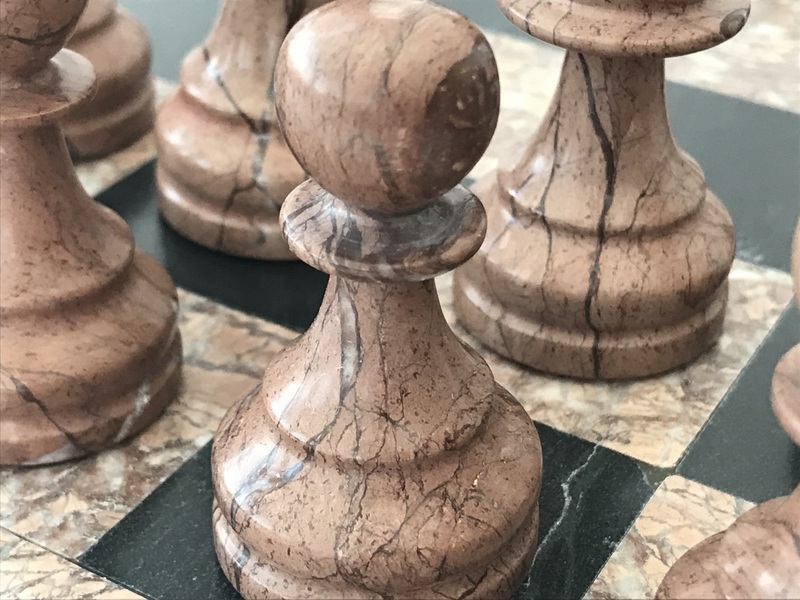 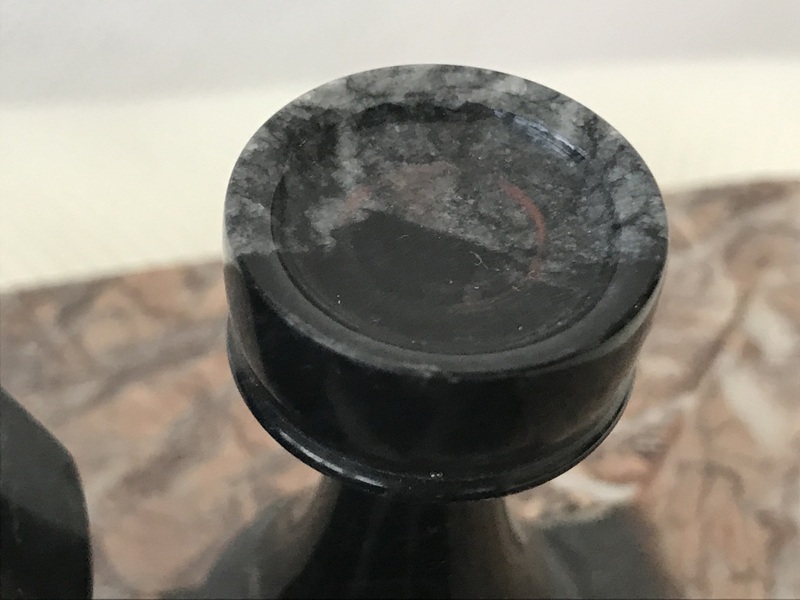 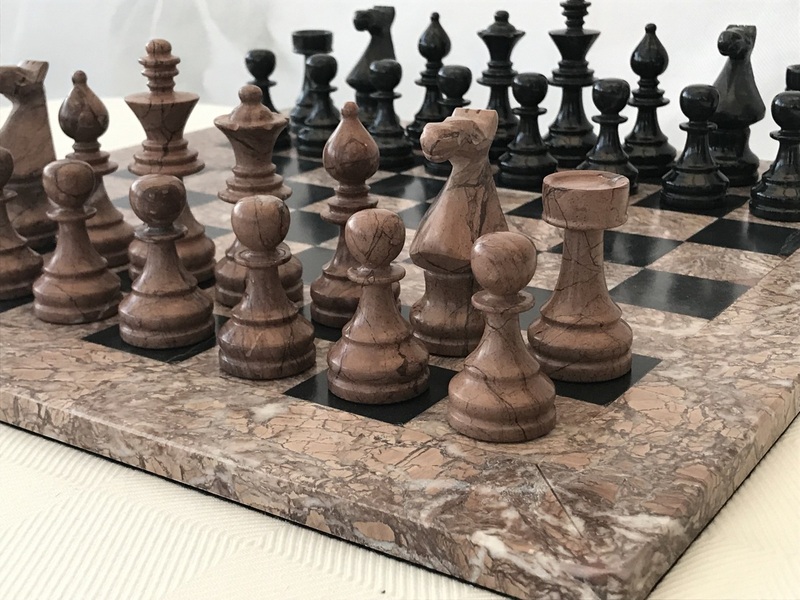 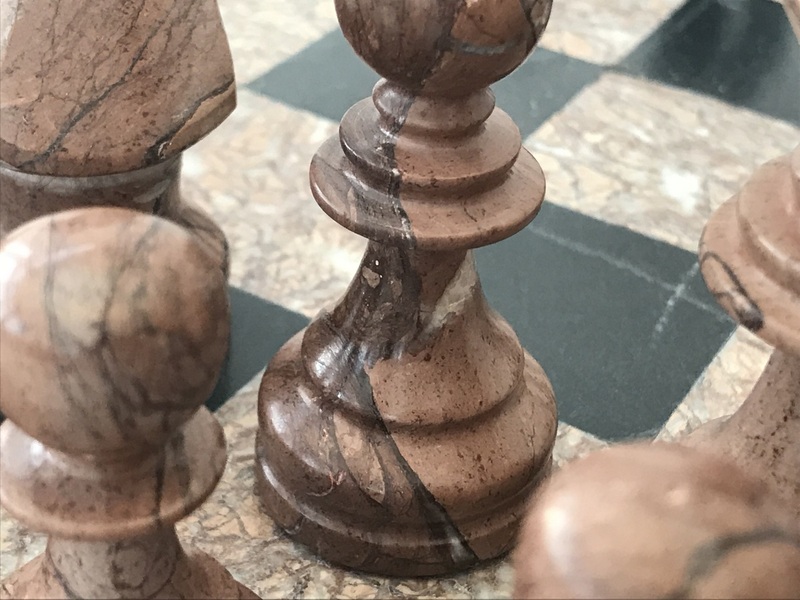 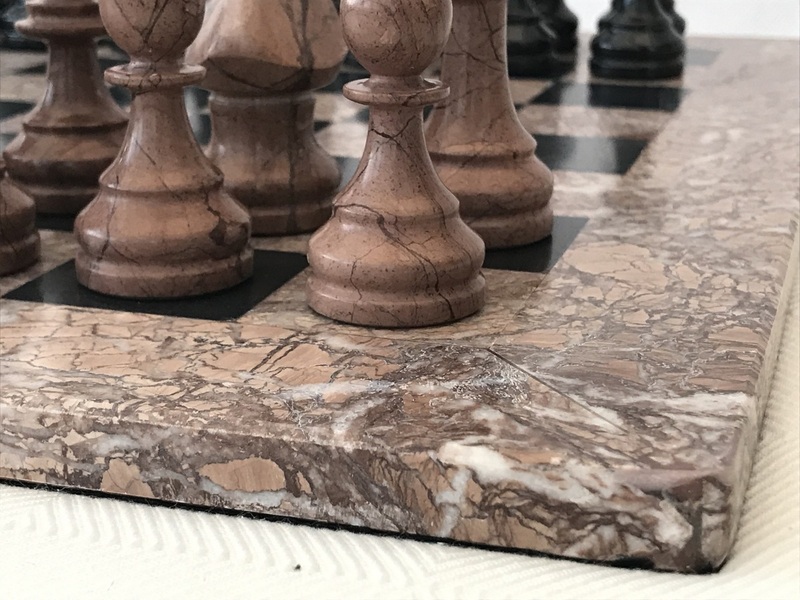 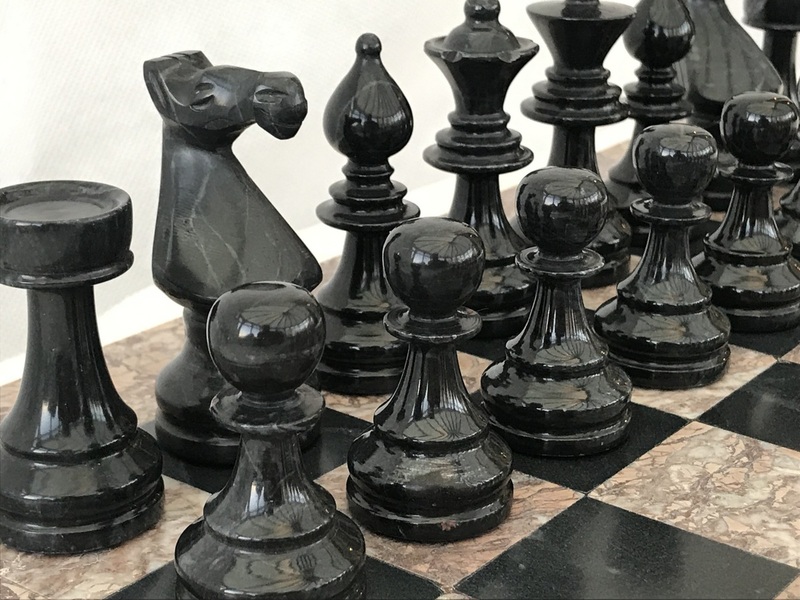 Please look at the detail of the pieces - this is not a conventional marble chess set - it is a carefully and expertly designed product that leaves the artisans reputation not just intact, but enhanced. 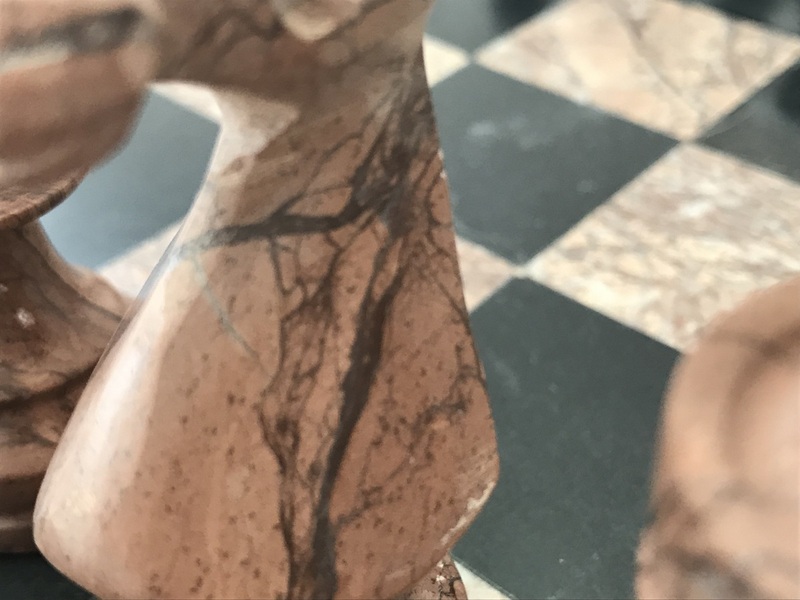 3.5 inch King height. 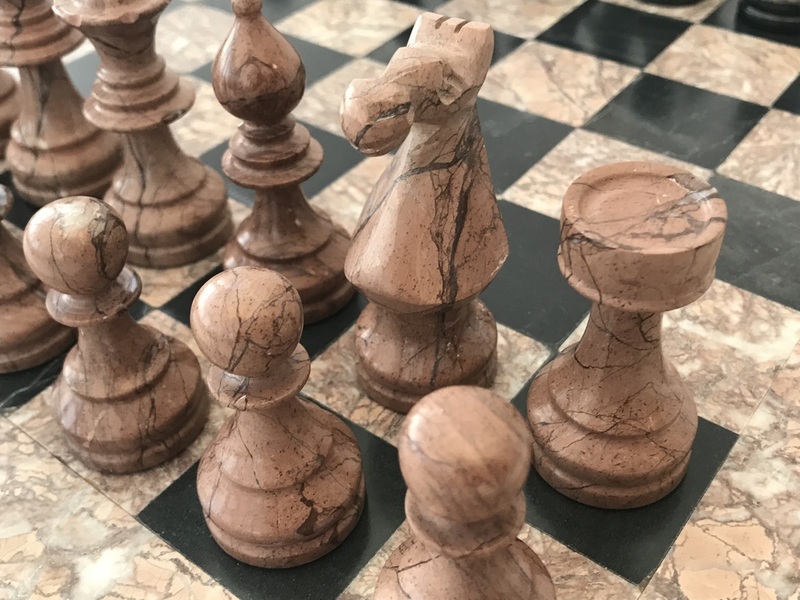 The whole set fits into purpose made case.